Today's movie trailer is one that really excites me. 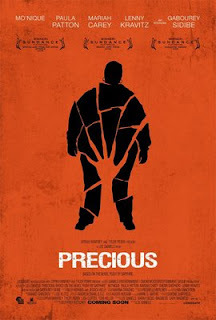 It is from the upcoming movie "Precious" which is based on a novel by the name of "PUSH". I highly recommend you get the book and read it by November 6, 2009 (The US release date). I am saying right now that Mo'Nique (yes, THAT Mo'Nique) is gonna get Oscar nominated for Best Supporting Actress in this movie. I hear she is that good. Check out the what my friends of at FirstShowing.net say about the movie and then check the trailer.